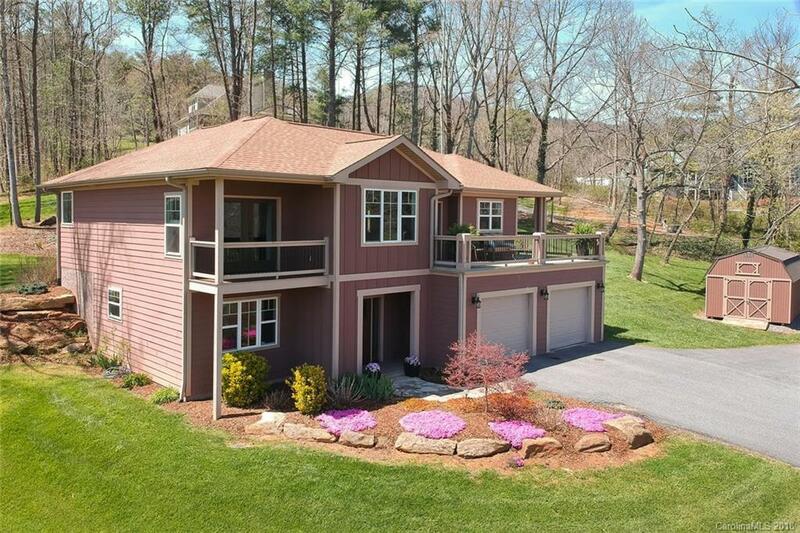 This home has beautiful mountain views and is surrounded by the Blue Ridge Parkway. Location is perfect with a country setting, yet 12 minutes away from downtown Asheville, Black Mountain and Warren Wilson College. Home features all the modern conveniences, every counter surface is granite, stainless steel appliances, real oak hardwood and tile floors, gas fireplace, high quality finishes inside and out. Spacious two car garage, home office, and plenty of storage. A large family room/media room for hanging out! Don't forget the large finished bonus room to use as you please. Property also features a natural stone patio that flows from the main floor family room and a fire pit/camping area for outdoor living. French doors open out to the veranda, large picture windows in the main living room allow for abundance of natural light and amazing mountain views. Grocery stores,Hiking and biking trails located close by. If you love outdoor living space, don't miss this home!